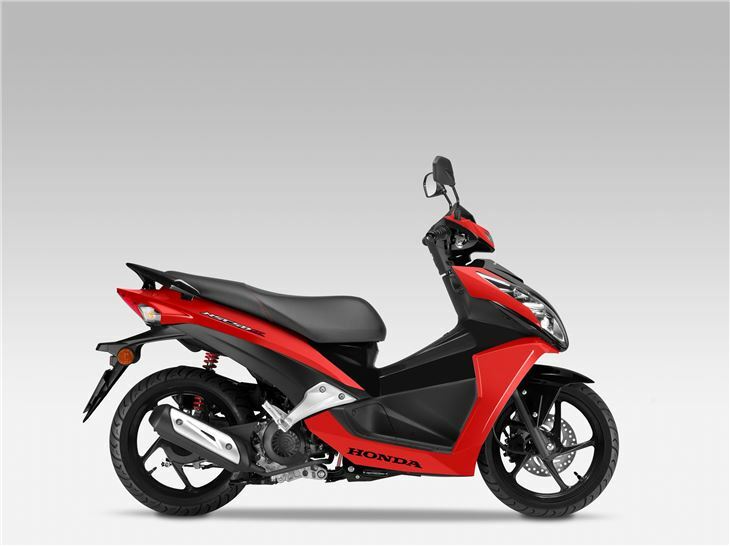 When it comes to basic transport, the no-frills Honda Vision 50 is about as simple at it gets. That’s not necessarily a bad thing and the popularity of the Vision shows there are plenty of scooter buyers out there who just want to get from A to B with the minimum of fuss and expenditure. That last element – cost – is relative as the Vision 50 comes in at £2199. 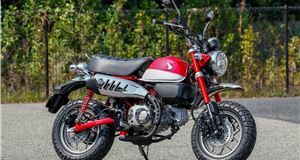 While that doesn’t make it the most expensive 50cc machine in the market, most of its rivals for your attention at this price offer a slice more style. 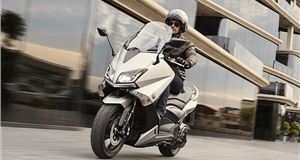 The Honda, on the other hand, majors on ease of use and the quality of its build. Although it’s built in China rather than Japan, the Vision is produced to Honda’s exacting standards and everywhere we looked, you find evidence of better quality materials and design than most rivals. 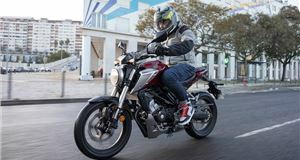 Of course, you could spend considerably less on the likes of a Jongjia or Lexmoto, but the Honda is going to survive year-round use and living outside far better than them. Rather than spend less, we would encourage anyone with a suitable licence to spend an extra couple of hundred quid and go for the 108cc version of the Vision. 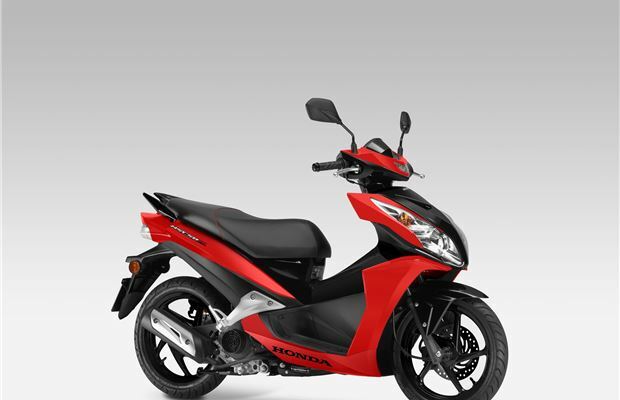 Its 6.5PS power output and 9.0Nm of torque are considerably ahead of the 50cc model’s 3.4PS and 3.5Nm. In town, you won’t notice that disparity in oomph off the mark and up to around 15mph, so the Vision 50 is a handy inner city tool. Beyond those low urban speeds, the 50 takes its time meandering up to 30mph and pressing on to its 35mph flat-out top whack requires dedication and a Neanderthal lack of mechanical sympathy. With some restraint, Honda reckons the Vision 50 is capable of a 146.9mpg average consumption. During our time in the saddle, this was more like 125mpg, which is still very respectable. Once on the move and keeping with the flow of traffic, the Vision 50 is happy enough. While the engine is not as responsive to throttle inputs as some, this makes it an ideal scooter for learners and those less concerned with threading through every gap. When you need to steer around other road users, the Vision’s tight turning circle and solid stability make light work of it. Another reason the Vision is handy in gnarly traffic, and also why it’s such a big seller, is the low seat height of 785-millimetres. That’s not the most short legged-friendly seat you can find, but the way the Honda’s cushion is shaped makes it very easy to place both feet on the ground and that, again, is perfect for learners and the newly qualified to give confidence. We also found the seat very comfortable, well shaped and padded and there’s enough room for a pillion, though this seriously undermines this 50cc scooter’s performance. Fold-down foot pegs are fitted so passengers feel secure on the bike. Honda provides linked CBS brakes as standard on the Vision 50. It means both front disc and rear drum are applied when the rider pulls on the lever. In most conditions, you won’t notice this, but on slithery wet roads it gives an added bite to the Honda’s stopping power. 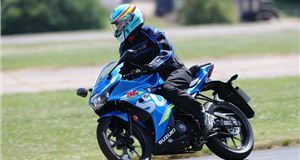 You can also use just the rear brake to temper speed when filtering and the rear view mirrors don’t impede progress through closely packed lines of cars, vans and buses. There are no concerns with the Vision’s stability under braking or during normal riding. The 16-inch wheels are larger than many other scooters in this price and power category, so most road imperfections are batted away. Some caution is needed when you encounter deeper ruts, not because of the wheel size but the Vision’s rear shock absorber seems to run out of, well, absorbency. This results in an occasional jolt through the frame. When you park up, there’s sufficient space under the lift-up seat for most full-face helmets, but that’s your lot for secure storage unless you spend the extra on an optional top box. We’d also consider paying for the optional windshield and knuckle protectors for a bit more protection from the weather. There are a couple of cubbies on the Vision’s leg protectors but they are open to the elements. You get a bag hook, too, while the dash above is as bare bones simple as the rest of the bike with a speedo, odometer and fuel gauge. As for the switchgear, it’s laid out exactly as you’d expect and operates with a typically Honda feel of precision. And that sums up the Vision 50. 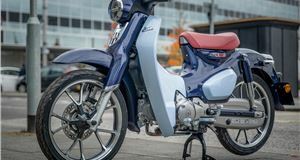 It is prototypically Honda in its approach to the 50cc scooter class. There’s little to get excited about yet the Vision endears itself with its unrelentingly sensible, practical, easy to live with ways. The build quality goes some way to offsetting the price tag and residual values help here too, but if you’re licence allows it we’d recommend the 110 model over this 50 every time. Top speed 35mph. Fuel consumption 146.9mpg (claimed). VED £19.